Specialists in manufacturing composite cans and many different styles of food can packaging, Irwin Packaging can tailor entirely to suit your requirements. Whilst the body section of the paperboard is consistent across all our composite products you can choose from a range of heights and liners to give you low, medium or high barrier protection and a range of ends for scooping, pouring and shaking. All composite cans can carry hi luster labels printed to your design and offer a range of closure options to suit the end use. 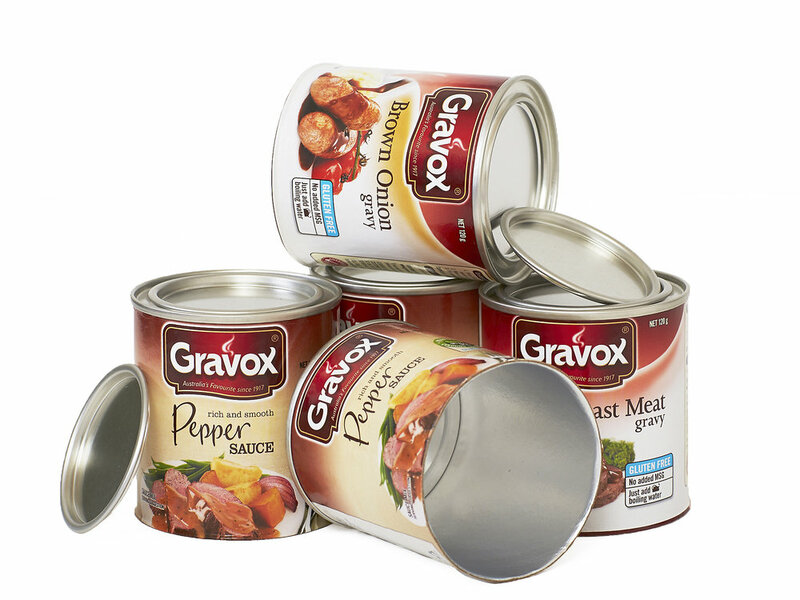 All food can and composite can sizes range from diameter 55mm to 153mm over a variety of customer specific heights. Closure options available include TRF (Penny Lever) plain silver or gold lacquered outside, EOE (Aluminium Easy Open End) or POE (Aluminium Peel Off End) which can be full aperture peel or “D” spoon level featured. EOE and POE cans can be supplied with plastic resealers colour matched and embossed or plain. All cans are palletized and shrink wrapped, pallet quantities vary depending on diameter and height. Ends are supplied loose and can be either aluminium or plain tinplate. Our experienced sales team can advise best option depending on make-up of product. Irwin Packaging works closely with a number of contract fillers and if required can arrange for your products to blended, filled and seamed. In the event that the customer wishes to control all aspects of filling but does not have the seaming equipment or expertise necessary to seam cans Irwin Packaging are here to help.